Sometimes it’s nice to take a break from doing something you love. Not only does it allow you to have some time to yourself it also makes things extra exciting when you hear something really, really good. Almost as if it was destined to bring you right back into the midst of it all. 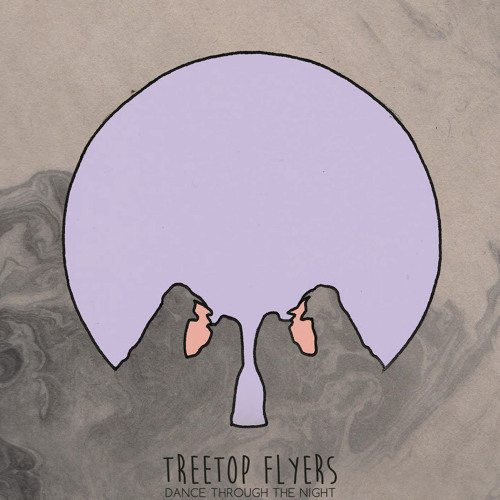 This is the case for me and Dance Through The Night, the new track from London’s Treetop Flyers. These guys are a five piece and this track is the first taste of new material from the band since their acclaimed 2013 debut album The Mountain Moves and boy, isn’t it good? Waves upon waves of keys flood the ear canals with a wishy-washy instrumental that’s mixed with some crisp drum beats, bumpy basslines and is coated with some old school rock and roll guitar riffage that gives it a real Doors-esque sheen. Incredible listening takes place as a jazz-y, seductive atmosphere fills the air and some excellent vocals deliver the notion that I should begin to take my clothes off as Treetop Flyers continue to throw everything they’ve got into this ballsy, charming performance. Hooks are thrown all over the place thanks to the simple but effective chorus which makes them easier to stick thanks to the easy going nature of the instrumental, and everything just sounds so…good. So good. Dance Through The Night is a fantastic tune and a phenomenal way to return to the music scene from Treetop Flyers. For a track that boasts six minutes it has all of the pop accessibility and satisfaction of a quick two minute moment of lust. Absolutely superb track here, and I’m so glad to be back. Stream Dance Through The Night below, and for more music reviews, free downloads and more admittance of love check out Exploding Head Syndrome on Facebook and Twitter.